პროექტი Tbilisi InSights, თავდაპირველად ვენეციის არქიტექტურის მე-14 ბიენალეზე საქართველოს პავილიონისთვის შეიქმნა და შერჩეულ იქნა საერთაშორისო და ადგილობრივი ჟიურის მიერ [http://www.culture.gov.ge/topicdetals-11.9514.html]. თუმცა, მოგვიანებით ჟიურის გადაწყვეტილება საქართველოს კულტურის სამინისტრომ არ გაითვალისწინა, პროექტი Tbilisi InSights არ იქნა წარდგენილი და საქართველოს მონაწილეობა ვენეციის არქიტექტურის მე-14 ბიენალეზე გაუქმდა [ამ მოვლენებთან დაკავშირებით Tbilisi In/Sights-ის განაცხადი შეგიძლიათ იხილოთ აქ: http://art-leaks.org/2014/03/23/tbilisi-insights-collective-statement/]. შემდეგ, TBILISI INSIGHTS განხორციელდა თბილისში! არქიტექტურასა და მის ისტორიაზე. ეს არის სხვადასხვა მედიისა და ფორმის ნაკრები, რაც თავისი არსით უკავშირდება წარსულში არსებულ წარმოსახვით კონცეპტებსა და თანამედროვე ქალაქში ცხოვრების კრიტიკულ ალტერნატივებს. ინდივიდს არსებობა უწევს კერძო და საჯარო სივრცის შეუთავსებელ დიქოტომიაში, რომელზეც ხშირად ამბობენ, რომ თითქოს ადამიანთა სასიკეთოდ არის შექმნილი. თუმცა, სახელმწიფო და კერძო სტრუქტურები ხელს უშლიან არა მხოლოდ დიქოტომური სივრცის გაგებას, არამედ მათში ურთიერთობასაც კი. ეს ის ფენომენია, რაც შეიძლება დავინახოთ ქალაქის განვითარების ტენდენციებში და ასევე, სახელოვნებო და არქიტექტურული პროექტების შესახებ გადაწყვეტილებების მიღებაშიც, რაც უკავშირდება ადგილობრივი და დასავლური დაფინანსების ცალმხრივი გეგმებით გამოწვეულ პროცესებს და ქალაქში ცარიელ ადგილებს ტოვებს მაშინ, როდესაც უნდა არსებობდეს მისი მომავლის საერთო ხედვა. თბილისში, გალერეა ნექტარში გამოფენა გაიხსნა 2014 წლის 9 ოქტომბერს და მიმდინარეობდა 2014 წლის 30 ოქტომბრამდე. დისკუსია გაიმართა გალერეა ნექტარში 2014 წლის 11 ოქტომბერს. ახლა, თბილისის გამოფენის შემდეგ, კოლექტივი იმუშავებს სპეციალურ გამოცემაზე Onomatopee (Eindhoven)-თან ერთად. ასევე, პუბლიკაცია მოიცავს მოწვეული სპეციალისტების ნაშრომებს, რომლებიც შეეხება პროექტის მრავალმხრივ მთავარ იდეებს. პუბლიკაციის პრეზენტაცია გაიმართება 2015 წლის 5 ნოემბერს, რომლის შემდეგაც 6-7 ნოემბერს შემოთავაზებული იქნება დისკურსიული პროგრამა. 2015 წლის გაზაფხულზე [22.3.-5.4.2015], Tbilisi In/Sights-ი, ასევე, გაიმართება ერევანში. AJZ კოლექტივთან თანამშრომლობით განხორციელდება დისკუსიები, რათა განვიხილოთ მსგავსებები და განსხვავებები. ეს პროექტი შექმნილია Tbilisi InSights-ის კოლექტივის მიერ და წარმოადგენს იმ პროექტის სახეცვლილ ვერსიას, რაც ვენეციის არქიტექტურის მე-14 ბიენალეზე საქართველოს პავილიონისთვის იყო შეთავაზებული. ადაპტირებული პროექტის განხორციელებისათვის საჭირო დაფინანსების მოპოვების ბევრი წარუმატებელი მცდელობის შემდეგ, Tbilisi InSights-ი აქამდე წარმოდგენილი იყო კონცეფციას, პროცესსა და წარმოსახვას შორის. 2014 წლის ნოემბერში, Arts Collaboratory-სგან დაფინანსებაზე დადებითი პასუხის შემდეგ, Tbilisi InSights-ი მუშაობს პუბლიკაციასა და ერევანში AJZ კოლექტივთან თანამშრომლობის კომპონენტებზე. კოლექტივი შედგება თბილისში მოღვაწე ოთხი წევრისგან: ხელოვანი თამუნა ჭაბაშვილი (Public Space with a Roof); ანთროპოლოგი დათა ჭიღოლაშვილი; არქიტექტორი და თბილისის მოარეს მკვლევარი გვანცა ნიკოლაიშვილი; ხელოვანი და „კონცეპტი და თეორია - თბილისის“ დამფუძნებელი კატარინა შტადლერი. პროექტს ახორციელებენ Tbilisi InSights-ის კოლექტივი, გეოეარი და კონცეპტი და თეორია - თბილისი, Arts Collaboratory-სა და ფონდ DOEN-ის მხარდაჭერით. The project Tbilisi InSights was originally conceptualized for the Georgian Pavilion at the 14th Architecture Biennale in Venice and then has been selected by the International-Georgian Committee [http://www.culture.gov.ge/topicdetals-11.9514.html]. The jury decision however was afterwards not taken into account by the Georgian Ministry of Culture, Tbilisi InSights was not commissioned and the Georgian participation at the 14th Architecture Biennale in Venice was canceled [See Tbilisi InSights' statement regarding the process: http://art-leaks.org/2014/03/23/tbilisi-insights-collective-statement/]. THEN TBILISI INSIGHTS WENT TBILISI! Tbilisi InSights aims to outline a non-linear, personal perspective on the transformations of daily life in Modern Georgia. Architecture, when not explored as a merely functional assemblage of speechless elements which compose inhabited spaces, incorporates life, therefore Tbilisi InSights considers, as the very foundation of architecture, people. People who need places to live and work, who build and envision, who inhabit and change the given and future architectural structure. Hence the project presents glimpses into personal, unintentional archives of those living within Tbilisi's architecture, a collection of various media and different forms, yet extending this insight into the past to imaginary concepts and critical alternatives of living within the modern city today. The individual tends to be set in an inadequate dichotomy of private and public spaces which we are made to believe are for the people's good, yet state structures as well as those created by private enterprises disrupt not only the understandings of dichotomous space, but even more so interactions within. These are phenomena to be observed in building tendencies throughout the city as well as in funding opportunities and decision making for artistic and architectural projects, generating a process shaped by local but also Western financing connected to their respective agendas only, leaving the city with blanks when it comes to a common envisioning of its future. The exhibition opened on October 9, 2014 at Gallery Nectar in Tbilisi and was on view until October 30, 2014. The discussion took place on October 11, 2014 at Gallery Nectar. NOW, after the exhibition in Tbilisi the collective will work on a special issue together with Onomatopee in Eindhoven, additionally inviting other contributors as to tackle the core issues of the project in a multifacted compendium. A publication to be launched on November 5, 2015 with a discursive program to follow on November 6 & 7, 2015. 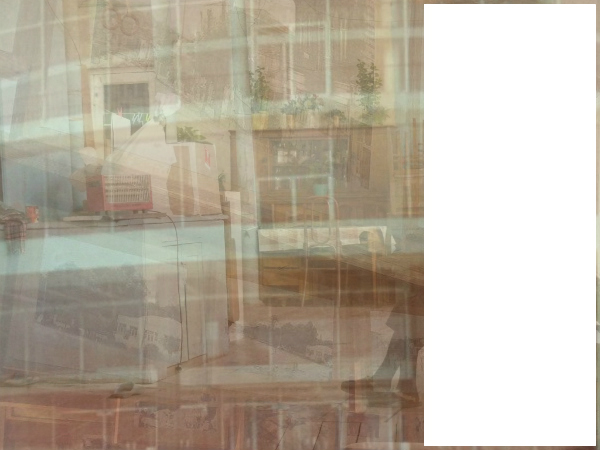 Tbilisi In/Sights will also 'go Yerevan' in spring 2015 [22.3.-5.4.2015] as to collaborate with AJZ collective – Yerevan, possibly and hopefully elaborating through discussion on both parallel and diverging momenta. The project is conceptualized and initiated by the Tbilisi InSights collective after deciding to proceed with an adapted version of the proposed project for the Georgian Pavilion for the 14th Architecture Biennale in Venice. Defeated in all efforts to secure funding for the adapted project, Tbilisi InSights has been presented so far between concept, process and imagination. 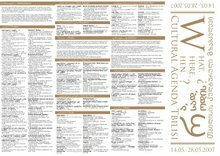 With the positive funding news from Arts Collaboratory beginning of November 2014, Tbilisi InSights will continue their work focusing on both a publication and a collaboration with AJZ collective in Yerevan. The collective consists of four Tbilisi based members: Public Space with a Roof artist Tamuna Chabashvili, anthropologist Data Chigholashvili, architect and Tbilisi Moare researcher Gvantsa Nikolaishvili and artist and Concept and Theory-Tbilisi founder Katharina Stadler. The project is implemented by Tbilisi InSights collective, GeoAIR and Concept and Theory-Tbilisi, with the support of Arts Collaboratory and DOEN Foundation. პროექტი ,,მაღაროელი ქალები” მიზნად ისახავს ასახოს ჭიათურის მაღაროებში მომუშავე ქალების ცხოვრების ფრაგმენტები, ის, თუ როგორია მათი სამუშაო და საცხოვრებელი გარემო და რა გამოწვევებთან და პრობლემებთან უწევთ მათ გამკლავება ყოველდღიურად. პროექტში მონაწილეობას იღებენ ადგილობრივი სკოლის მოსწავლე გოგონები, რომლებიც მარიამ კაპანაძესთან ერთად მუშაობენ ჭიათურაში მაღაროელი ქალების შესახებ ვიზუალური და ნარატიული ინფორმაციის მოსაგროვებლად. პროექტის საბოლოო შედეგი პირველად ნაჩვენები იქნება თბილისში მულტიმედია ინსტალაციის სახით. 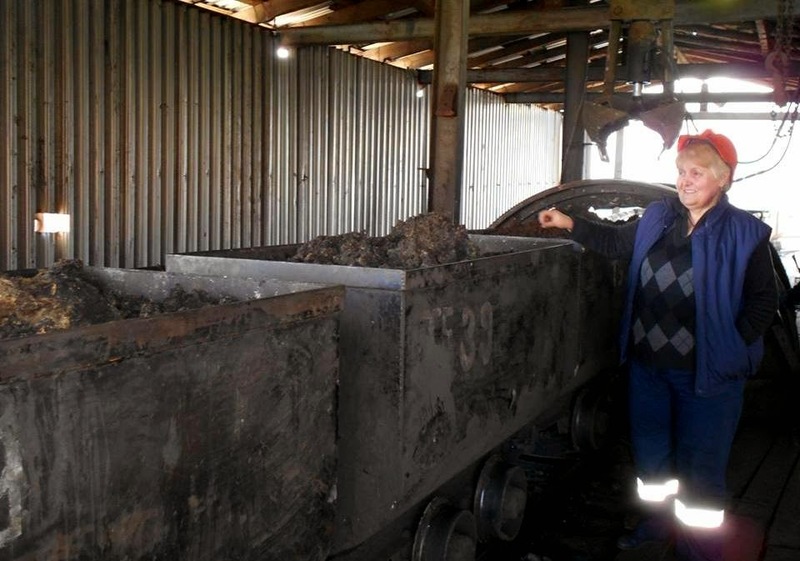 The project “Women from the Mines” aims to represent the fragments of women’s lives who work in the mines of Chiatura, to show their work and home environment, the challenges and problems they face on everyday basis. Girls from the local school in Chiatura are participating in the project and together with Mariam Kapanadze they are collecting visual and narrative material regarding women from the mines. The final result of the project will be shown for the first time in Tbilisi as a multimedia installation. პროექტი დაფინანსებულია „კავკასიური სახლისა“ და ევროპული ფონდი „ჰორიზონტის“ მიერ. The project is funded by the ‘Caucasian House’ and the the European Foundation "Horizon." Tandem Shaml პროგრამის ფარგლებში გეოეარი, artellewa-სთან (ეგვიპტე) თანამშრომლობით ახორციელებს პროექტს ბაზარი, შეხვედრის ადგილი_ კაირო_თბილისი . ამჟამად artellewa-ს რეზიდენცია მასპინძლობს ქართველ ხელოვანს მაკო კაპანაძეს და გეოეარის კურატორს სოფიო ლაპიაშვილს, რომლებიც პროექტის ფარგლებში მუშაობენ ხელოვან ჟაკლინ ჯორჯთან (ეგვიპტე) და კურატორ ჰამდი რედასთან (ეგვიპტე) ერთად. აჰმად შაუხი (ეგვიპტე), ალე აბდ ელ ჰამიდი (ეგვიპტე), ეიმედ იბრაჰიმი (ეგვიპტე), ჰამდი რედა (ეგვიპტე), ჟაკლინ ჯორჯი (ეგვიპტე), მაკო კაპანაძე (საქართველო) და მოჰამედ ეზი (ეგვიპტე). 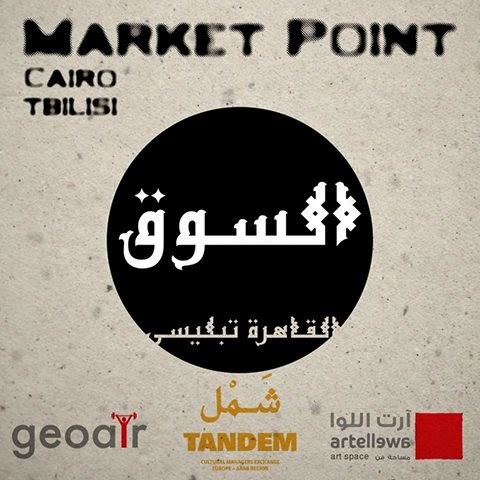 In the frame of Tandem Shaml program in collaboration with GeoAIR (Georgia), artellewa is implementing a project MARKET POINT_Cairo_Tbilisi. Artellewa residency is hosting Georgian artist Mako Kapanadze and curator Sophia Lapiashvili whom are working on the project together with local artist Jacqueline George and curator Hamdy Reda. Ahmed Shawky (EG), Alaa Abd El Hamid (EG), Emad Ibrahim (EG), Hamdy Reda (EG), Jacueline George (EG), Mako Kapanadze (GE) and Mohamed Ezz (EG). Privet archive of artist Guram Tsibakhashvili (Georgia). Privet archive of artist Nabil Boutros (Egypt). The space open daily, except Mondays. “გეოეარი” და “კულტურისა და მენეჯმენტის ლაბორატორია” საქართველოს ეროვნულ მუზეუმთან თანამშრომლობით გიწვევთ საერთაშორისო კონფერენციაზე, რომელიც ტარდება პროექტის “აღმოაჩინე ელიავა” ფარგლებში. კონფერენცია მიეძღვნება გარემოზე ნეგატიური ზეგავლენის შემცირების კრეატიულ და ალტერნატიულ მიდგომებს, ნარჩენებისა და გამოყენებადი ენერგიების სწორ მენეჯმენტს, ენერგოეფექტურობას. შეხვედრაზე განხილული იქნება სახელოვნებო რეზიდენციების, ნარჩენებისგან მეორადი ხელოვნების ნიმუშების შექმნის, კულტურის ინსტიტუციებში ენერგოდანაკარგების შემცირების, “მწვანე არქიტექტურის” თანამედროვე ტენდენციების საკითხები. შეხვედრაში მონაწილეობას მიიღებენ და პრეზენტაციებს გააკეთებენ სხვადასხვა სფეროს წარმომადგენლები: ხელოვანები, არქიტექტორები, ბიზნესმენები და სხვ. მათ შორის ბრიტანული ორგანიზაციის Julie’s Bicycle წარმომადგენელი ლიუკ რამსი(www.juliesbicycle.com), რომელიც უკვე მრავალი წელია მუშაობს კულტურის ორგანიზაციებისა და ინდივიდუალური მომხმარებლების მიერ გარემოზე ნეგატიური გავლენის შემცირებისა და კრეატიული პროექტების განხორციელების საკითხებზე. ორგანიზაციას აქვს ექსპერტული ცოდნა როგორც ენერგოეფექტურობისა და განახლებადი ენერგიების, ისე ნარჩენების მეორადი გამოყენებისა და ცალკეული ორგანიზაციების მიერ გარემოზე ზეგავლენის კალკულაციის სფეროში. კონფერენციაზე თავის პროექტებს ასევე წარადგენს იტალიური სახელოვნებო რეზიდენციის Pollinaria-ს წარმომადგენელი დანიელა დ’არიელი (www.pollinaria.org/en/Arte/fritz-haeg.aspx, ინიციატივა Tree House). კონფერენცია “მწვანე ლაბორატორია: კულტურა და გარემო” წარმოადგენს ევროკომისიის კულტურის პროგრამის ფარგლებში დაფინანსებული ინიციატივის Green Art Lab Alliance (GALA) ნაწილს, რომლის კოორდინატორია ჰოლანდიური ორგანიზაცია Trans Artists. მოხარულები ვიქნებით, გიხილოთ ჩვენს ღონისძიებაზე. “GeoAIR” and “Culture and Management Lab” in cooperation with the Georgian National Museum would like to invite you to the international conference which is organized in the frames of the project “Discover Eliava”. The conference will take place on January 22, 2015 in Auditorium of the Georgian National Museum (1 Purtseladze street) and be dedicated to creative and alternative approaches towards reduction of negative impact on environment, effective management of waste and reusable energies, energy efficiency. During the meeting attendees and guest speakers will discuss the issues of artistic residencies, production of art works from the second hand materials, reusable energies, reduction of the use of recourses in cultural institutions, newest trends of the “green architecture”. 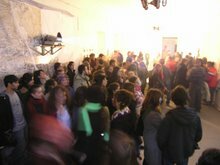 Conference will bring together the representatives of different fields: artists, architects, businessmen and the others. Among them the representative of the British organization Julie’s Bicycle Luke Ramsay (www.juliesbicycle.com). Organization has a long term experience in consulting of cultural institutions and individuals on reduction of negative impact on environment and carrying out of creative projects. It has an expertise in the realm of energy efficiency and renewable energies as well as use of the waste materials and calculation of impact on environment. During the conference guest speaker from the artistic residency Pollinaria Daniela d’Arielli (Italy) will present the initiative Tree House (www.pollinaria.org/en/Arte/fritz-haeg.aspx). The conference “Green Laboratory” Culture and Environment” is part of the initiative Green Art Lab Alliance (GALA), which is curated by the Dutch organization Trans Artists. It takes place in the frames of the cultural program of the European Union. We will be happy to welcome you at the conference. GeoAIR (2003 onwards) organizes and supports international exchange projects with the goal of strengthening the Georgian and Caucasian art world, bringing together artists from different cultural backgrounds and finding relevant contexts for them to work in. GeoAIR has also become, over the past years, an ‘intermediary’ for individuals and organizations that seek connection with the arts in this region. GeoAIR team is changing in time, in past GeoAIR has been Freya van Dien (NL), Nadia Tsulukidze (Geo) and Onno Dirker (NL). 1. არქიდრომი, თანამედროვე ხელოვნების არქივში მხატვართა პორტფოლიოების განახლება. 2. კვირაში ერთი დღე არქივში ყოფნა და დაინტერესებული პირების მიღება. 3. გეოეარის რეზიდენციაში ჩამოსული სტუმრების დახმარება (ქალაქში მოძრაობა და ხალხთან ურთიერთობა) და საერთო რეზიდენციის საქმიანობაში ჩართვა. "Exchange Academy" international artists worked in a collaboration with the team of ‘Archidrome’, contemporary art archive’ 2008. Nadia Tsulukidze (Geo) - lecture and screening series of the dance films at the Goethe Institute, Tbilisi, 22 March-24 May 2007. Onno Dirker (NL) - one month residency in Tbilisi in 2007. Kirsten Leenaars (NL/US) - with project 'Dreams of Others', Tbilisi, 2007.